Divorce can be a long and deeply emotional challenging process. However, if you are going through a divorce, it is probably best to have an uncontested divorce. These types of divorces normally have no relevance to whether both parties agree to get a divorce. It is possible to have one party resistant to the divorce but able to communicate and agree to important terms in a divorce. That is what an uncontested divorce is all about. An uncontested divorce is when the parties are able to form an agreement, outside of court, regarding the main terms related to the divorce. There are four major items to every divorce whether contested or uncontested. 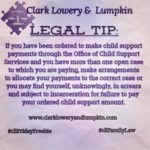 Parties, in an uncontested divorce are able to form an agreement regarding child custody, child support, alimony/spousal support, and division of assets and liabilities. This does not just include general agreements such as primary custody but more specific details that illustrates what primary custody for one parent looks like. Divorce cases that fall under this category usually do not have children involved or high assets to consider. However, each divorcing couple has the power to determine what kind of divorce they will have and it is best to have the parties decide the outcome of their divorce rather than a judge, especially if there are children involved. Generally, if parties come to an agreement regarding these major issues then the settlement agreement can be submitted to the court for consideration. An uncontested divorce is usually less time consuming because it lessens discovery that occurs during a contested divorce. However, an uncontested divorce can become contested and vice versa. There are usually opportunities for alternative ways to resolve the divorce such as mediation. This allows the parties to work together on the contested issues and finalize uncontested issues. Parties can form these agreements without attorneys. 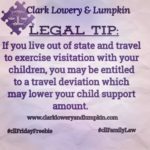 However, it is best practice to have an attorney at least review the proposed agreement that has experience with divorce in order to prevent any further court involvement. 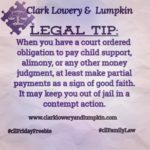 Family law attorneys can help fill in any gaps in the agreement and fine-too important issues to increase the likelihood of success of approval by the judge. Please call our office to speak with one of our attorneys to help you through your divorce.